Speedy is an 11-year-old fawn male. 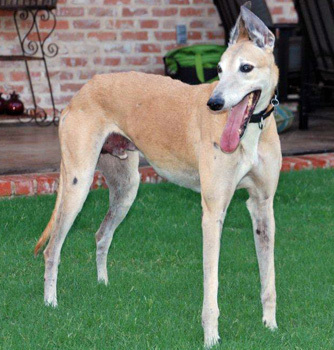 Speedy came to us via the North Texas Humane Society as a rescue from a hoarding situation. His tattoos are still being researched. Speedy was diagnosed with testicular cancer - the treatment for this type of cancer is neutering, which has been done. 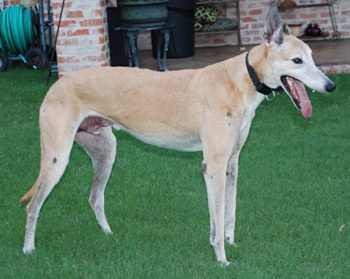 Speedy has been cleared medically and is ready to find a home to retire to! Speedy is cat and small dog tolerant.